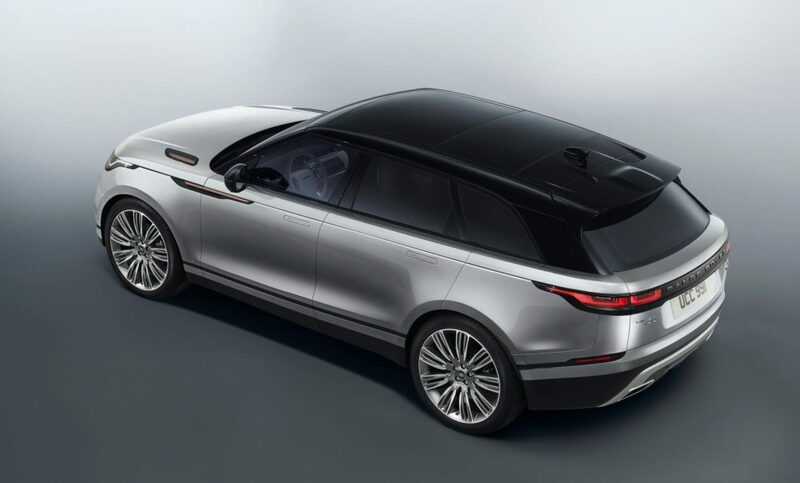 Jaguar Land Rover has revealed much more of the Velar, the fourth member of the 47-year old Range Rover family. 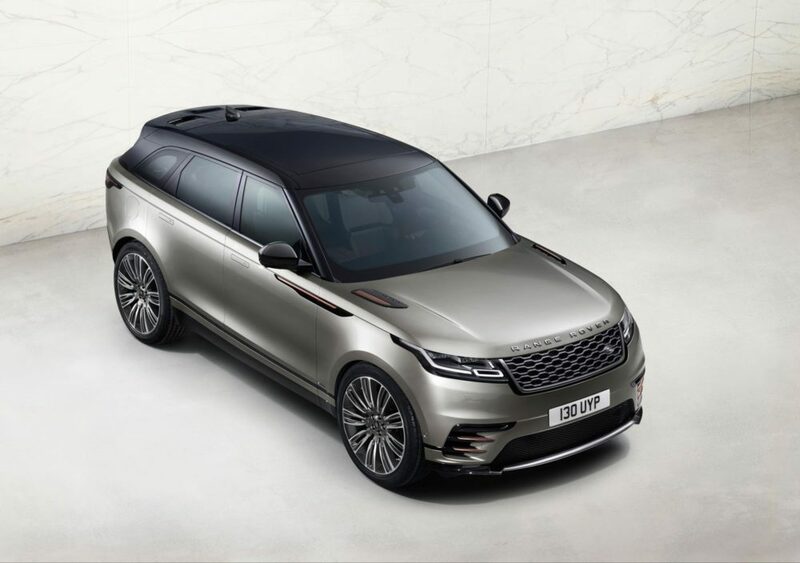 The company has also confirmed that the Velar will be built exclusively at its flagship Solihull plant in the West Midlands. Since going on sale in 1970 the Range Rover family has grown to include the Range Rover, Range Rover Sport and Range Rover Evoque. Together they have helped transform the fortunes of the UK’s largest vehicle manufacturer, accounting for 85 per cent of all premium cars produced in Britain and, according to the company, contributing £10bn to the UK economy every year. 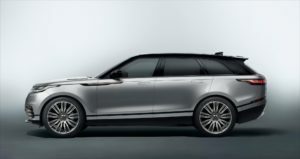 Built using Jaguar Land Rover’s leading lightweight aluminium architecture and powered by the latest UK-built Ingenium petrol and diesel engines, the new Velar is positioned between the Range Rover Evoque and the Range Rover Sport. The Range Rover Velar is the third model to be launched at the Solihull manufacturing plant in just two years. It follows an injection of £1.5bn in new facilities and technologies at the plant which began with the Jaguar XE and F-PACE. There’s a range of six petrol and diesel powertrains, all matched to ZF eight-speed automatic transmissions and all-wheel drive with Intelligent Driveline Dynamics. Four-cylinder Ingenium diesels are offered in 178 bhp and 237 bhp variants. Both of these 2.0-litre engines share the same low friction design, and benefit from features such as a split-cooling system and electronically-controlled coolant pump for rapid warm-up and therefore reduced fuel consumption. Variable exhaust cam timing helps the aftertreatment system to reach operating temperature as quickly as possible, reducing emissions. And both feature technologies to cut NOx emissions. The exhaust gas recirculation (EGR) system uses a cooled low-pressure circuit in addition to a high-pressure circuit: this reduces pumping losses, and therefore increases efficiency still further, and also reduces peak combustion temperatures to help reduce the formation of NOx in the cylinders. The selective catalytic reduction (SCR) system cuts tailpipe emissions of NOx to very low levels. The system injects AdBlue diesel exhaust fluid into the exhaust gas, where it reacts with the NOx and converts it into nitrogen and water, ensuring that the Ingenium diesels comply with the stringent limits of Euro 6. The most efficient version of the engine, known as D180, features a 1,800bar common-rail system and a single variable geometry turbocharger, ensuring clean, quiet efficient combustion and excellent response from low engine speeds. Developing 178 bhp and maximum torque of 317 ft lb from 1,750rpm, this engine delivers acceleration from 0-60mph in 8.4 seconds (0-100km/h takes 8.9 seconds) , with fuel consumption and CO2 emissions of 52.5mpg (5.4-litres/100km) and 142g/km respectively on the European combined cycle. Drivers can also choose the more powerful Ingenium diesel: the D240. Equipped with two turbochargers – Jaguar Land Rover’s first application of a series-sequential boosting system – and a 2,200 bar common-rail system, this engine produces 237 bhp and 369 ft lb of torque from just 1,500rpm. This enables acceleration from 0-60mph in only 6.8 seconds (0-100km/h 7.3 seconds. It achieves 48.7mpg (5.8-litres/100km) and 154g/km in CO2 emissions. The latest 3.0-litre V6 diesel – the D300 – delivers 300PS and maximum torque of 516 ft lb. This engine can take the Velar from 0-60mph in only 6.1 seconds (0-100km/h in 6.5 seconds) on the way to a maximum speed of 150mph (241km/h). Fuel consumption and emissions figures are 44.1 mpg (6.4-litres/100km) and 167g/km CO2. The 2,000bar piezo common-rail system is designed to ensure highly precise injection for optimised atomisation and mixing of the fuel droplets, boosting output and reducing emissions. Response from the innovative parallel-sequential turbocharging system has been improved with highly optimised compressor wheel, turbine and variable nozzle designs, delivering stronger torque output at lower engine speeds. State-of-the-art ceramic ball bearings are used in the primary turbo to reduce friction, resulting in a more rapid build-up of torque. JLR says that production of all Jaguar Land Rover models at the four UK manufacturing plants directly supports more than 40,000 British jobs and a further 250,000 in the supply chain. In the past six years the company has more than doubled its workforce to support global demand for its products. Last year Jaguar Land Rover sold 583,313 cars – more than one every minute, 44 per cent of which were Range Rovers. The Range Rover Velar will be sold in more than 100 markets globally and is available to order from summer 2017.